Home Domestic News Championship Worrying times for Reading FC? Saturday afternoon saw yet another flat, poor and disappointing Reading performance. Credit has to be given to the opposition who performed incredibly well, however we shouldn’t allow them to. Tuesday night at Charlton was a poor performance too, even though we did win that game. I feel the huge problem at the moment is our inability to stay on top of games. In the last few games we have started well, and then let the opposition get a foothold and grow into it, and not capitalising enough on our dominance. At Forest away we managed to get a two goal lead, a team like Reading should be keeping that two goal lead, however we allowed Forest that chance and they brought it back to 2-2 before we eventually sealed a victory. We took a 13th minute lead against Charlton through Billy Sharp and should then kick on and win comfortably. Unfortunately we were unable to do so, and Charlton had a lot of chances to get back into the game. With Bournemouth yesterday, we were well on top for the first 30 minutes, and failed to capitalise on our chances, which gave Bournemouth belief who grew into it following a goal against the run of play. We have got to get on top, and stay on top, or at least get on top and get enough of an advantage to see us through. Another thing I noticed yesterday, and which has often been the case is bodies in the box. We have enjoyed using our wingers in recent games, and rightly so with the pace of McCleary and Obita, however when they get down the flanks and put balls in the box we never seem to have more than two players in there! We’re outnumbered in the box, so the chance of winning anything is slim, and possession is given back to the opposition 99% of the time. I noticed yesterday when this was happening that we always had 2 players on the edge of the box, and it made me wonder why they weren’t getting in there and trying to score! I don’t know if it is a tactic, or a confidence issue, but for me it needs to be addressed. 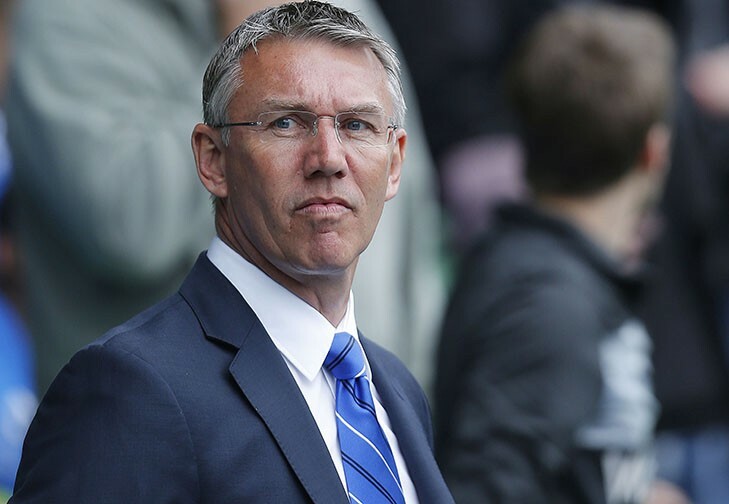 Something that I have noticed recently about Adkins is his substitutions and team selection. Yesterday for example, he dropped Pogrebnyak who has been a consistent good performer for us, for Robson-Kanu, who offered very little yesterday. As far as his subs, yesterday for me Drenthe was brought on too late, and that often seems to be the case, players often coming on too late. Linking to this issue is Billy Sharp, who before he got injured barely got any match time, and when he was back fit, he still couldn’t get in and then when he does finally start, he scores. Despite not scoring yesterday I do think he worked hard and offered much more up top than HRK. Positively for us yesterday, Drenthe came on and did really well. He doesn’t look particularly fit but he did add a real spark that we have missed in recent weeks. I think we certainly need more defensive cover in January, left back in particular is very bare with only one player in that position, who is injured. The centre of defence is also an area which needs strengthening, however I think we should be looking at our young star Michael Hector to step up following his successful spell with Aberdeen where he has earned a lot of praise. I think he could be a real talent, and could fit into Adkins style very well. For me in January they are the most important areas to cover, however, one more attacking player with a lot to offer would go down very well with me as well. I am not in agreement with the Reading fans calling for Adkins head, I’m comfortable with the position we are in the table, especially considering how much better we can perform. I believe there is a lot more to come from Reading yet. Adkins constantly talks about staying in the race until January, and he is right. If we hold a strong position in the table come January we can make those changes we need to make and push on from there. My message… DON’T PANIC READING FANS. We have a big performance in us, we just haven’t found it yet.